Home > Financial Plan - Books > Everything you need to know, Every savings and investment option...! Everything you need to know, Every savings and investment option...! From a simple post office savings account to researching and trading stocks yourself--there is a huge and confusing range of savings and investments options available to you. Unfortunately, it's hard to get all the basic facts about them in one place--unless you have the smartest and most comprehensive guide to investments. 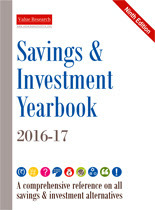 Buy the annual update to most thorough guide to savings and investments and get the the latest information on every method of savings that is available to you. Click here to subscribe to the printed version, or buy a digital subscription (PDF+online reader) instantly. You can also buy a digital copy of this issue without subscribing.